Bukit Bintang MRT Station is an underground MRT station that is located in Bukit Bintang, a shopping hub in the Kuala Lumpur Golden Triangle commercial district. 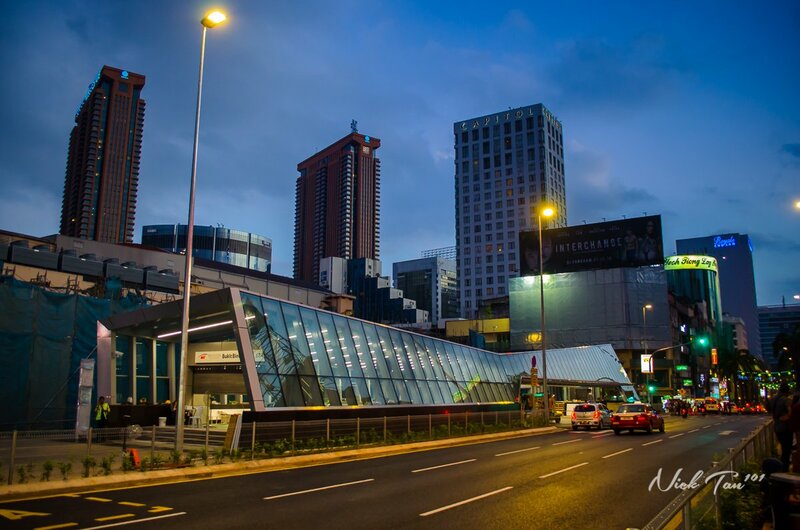 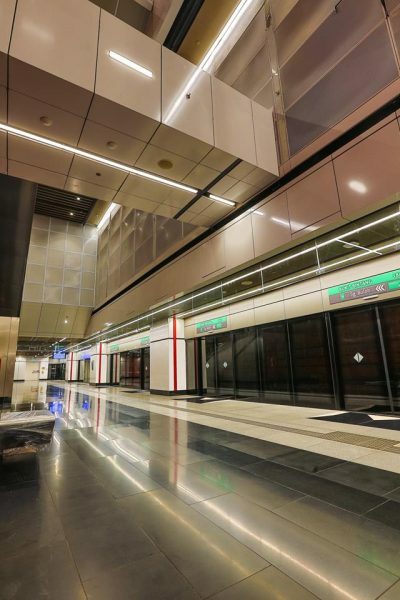 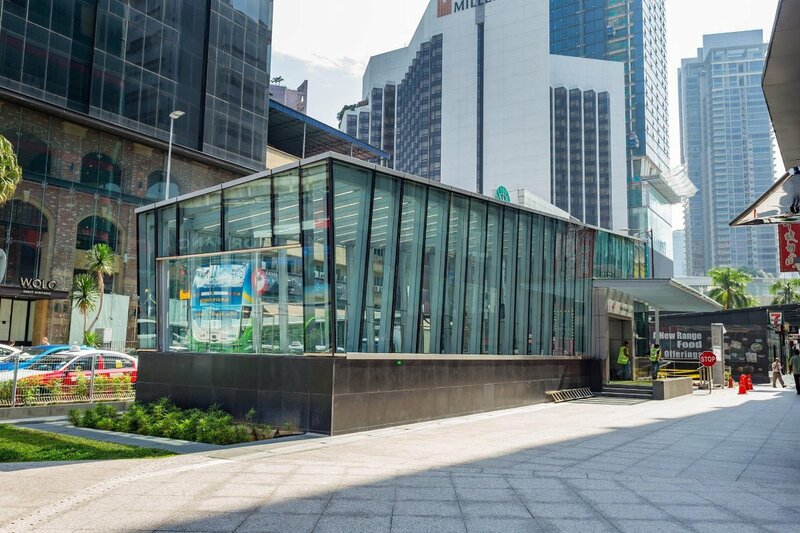 Situated at the crossroad of Jalan Bukit Bintang and Jalan Sultan Ismail, Bukit Bintang Station personifies the energy and vitality of the area through its high volume feature wall. 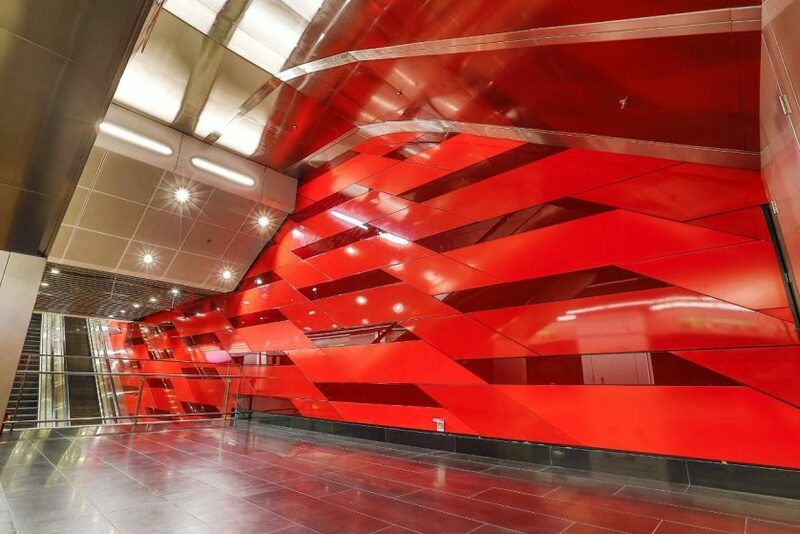 The vibrant red colors and pattern unique to the station also underline the liveliness of the place and setting. 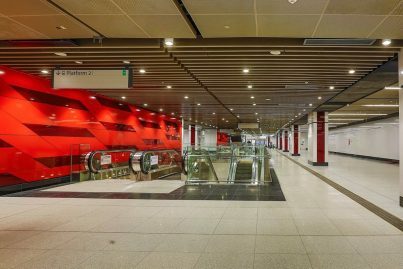 The station features a number of unique features. 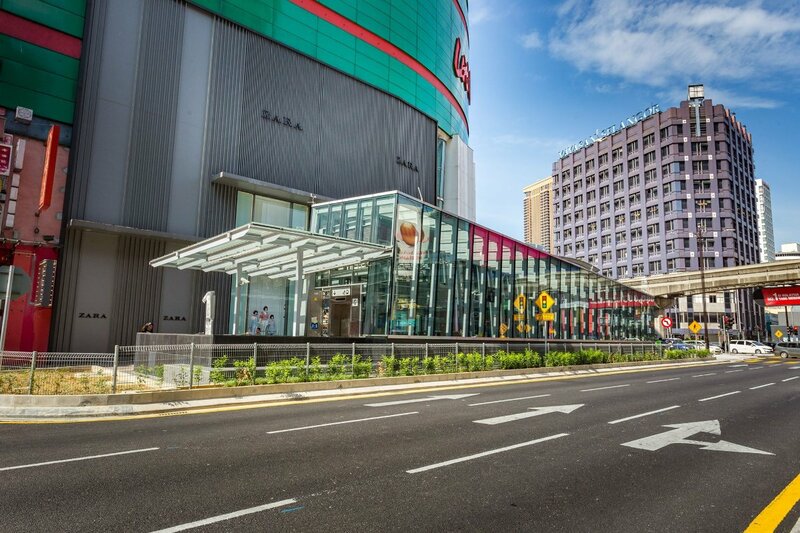 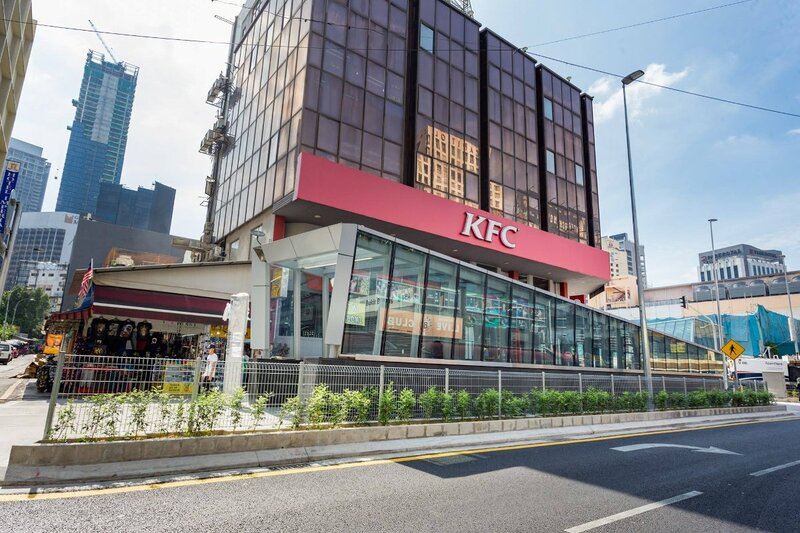 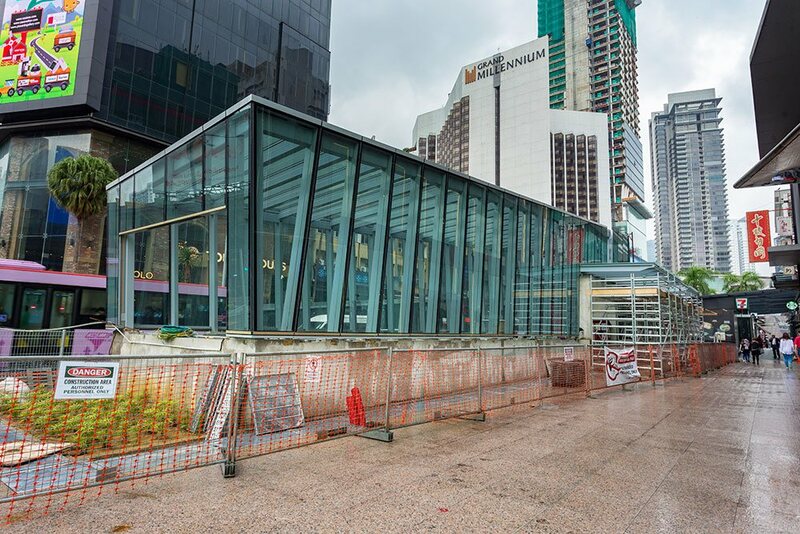 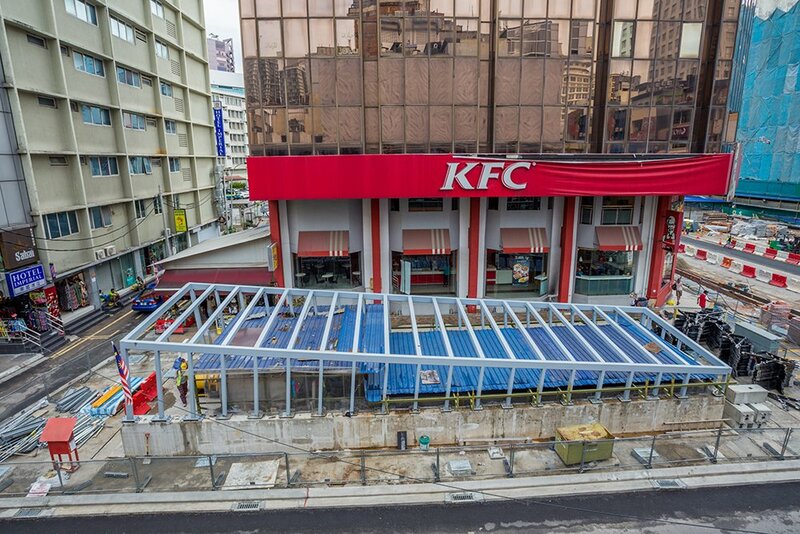 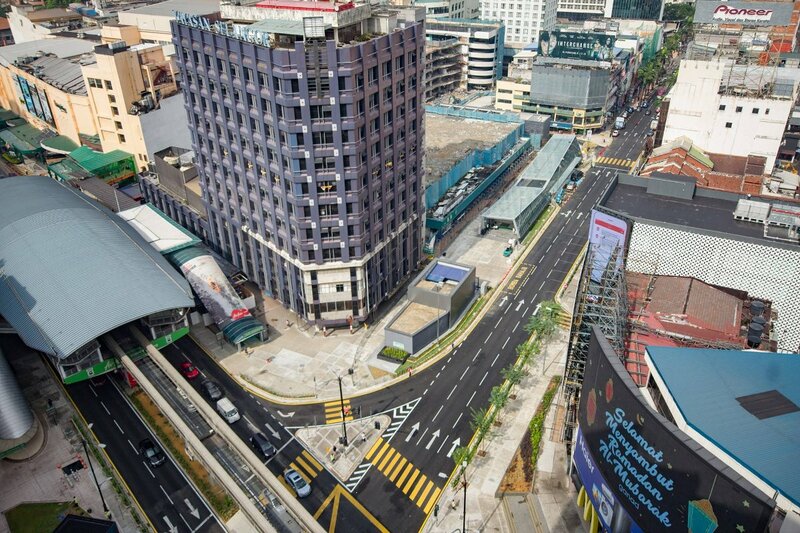 It has up to 5 entrances around the crossroads of Jalan Bukit Bintang and Jalan Sultan Ismail, allowing commuters access to several malls in the vicinity, for example, Pavilion Kuala Lumpur and Lot 10. 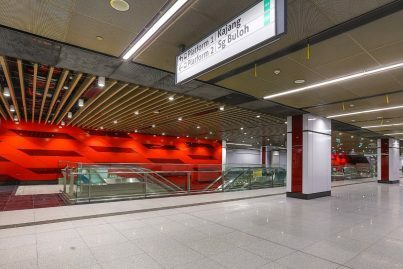 It was opened on 17 July 2017 and the main theme of the MRT station is Dynamic Pulse of Colour. 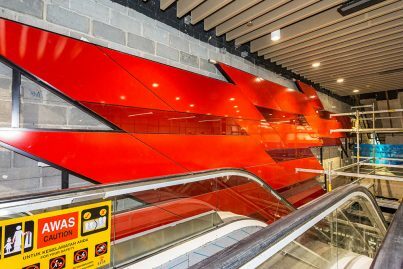 The theme, chosen to represent the dynamic and exciting elements of the country’s top central business district, is reflected with different tones of red on the walls that suggest movement in the interior of the station. The vibrant red colors and pattern unique to the station also underline the liveliness of the place and setting. 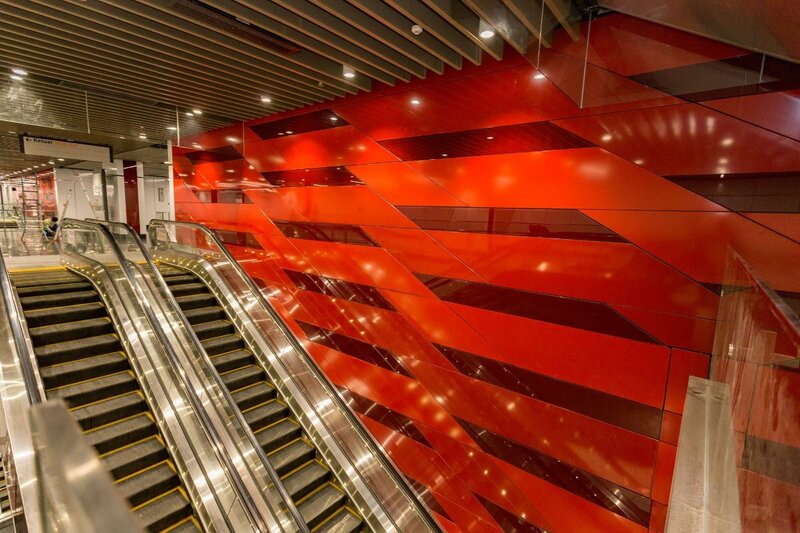 Dynamic Theme, chosen to represent the dynamic and exciting elements of the country’s top central business district, is reflected with different tones of red on the walls in the interior of the station that suggest movements. 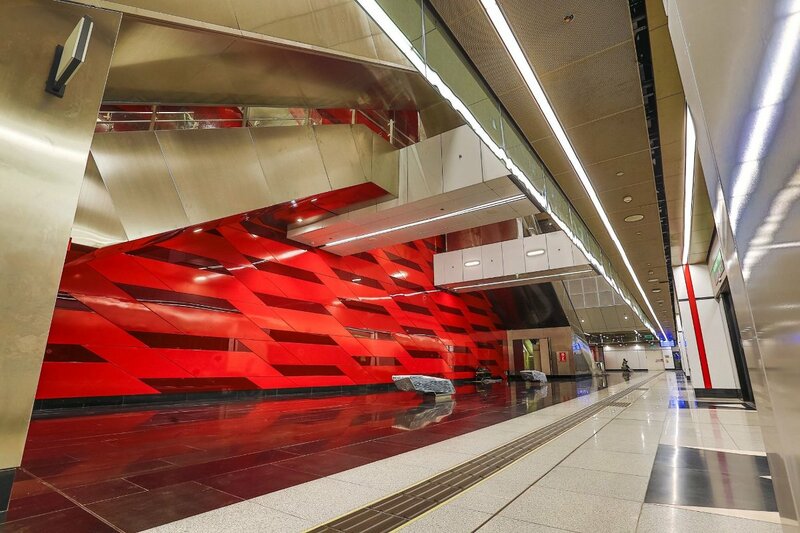 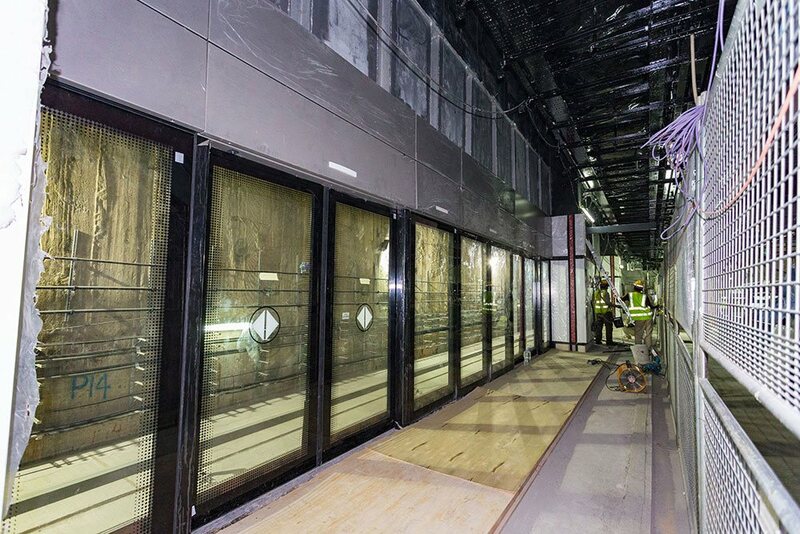 The station, being located in an area with limited space, required it to be built underground at about 28m deep. 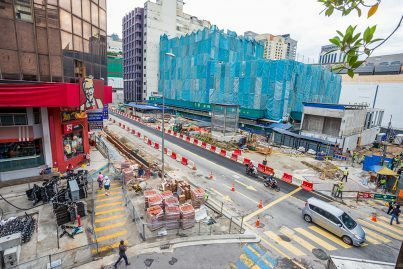 This was to avoid demolishing buildings along the Jalan Bukit Bintang road to make way for construction. 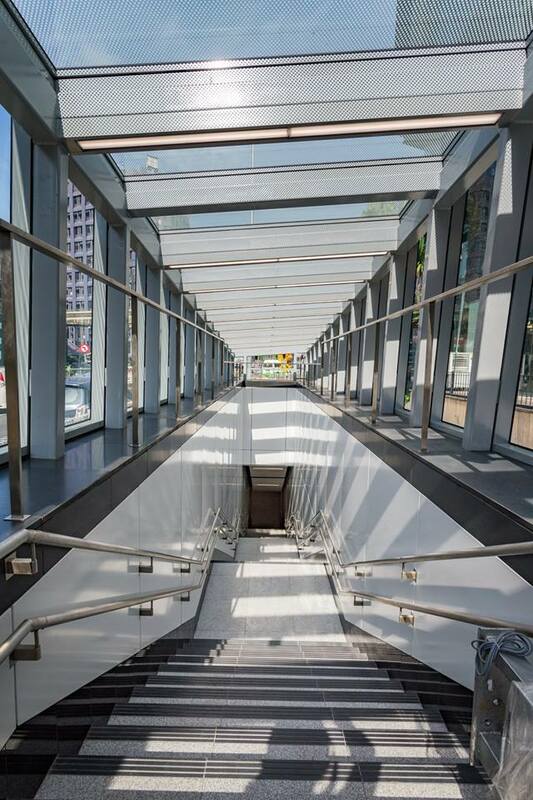 The station also contains the longest escalator for all 31 stations along the SBK route at 20 meters. Bukit Bintang MRT station is also unique in a sense that it is the only station with split platforms, which means the platforms are stacked one on the other: one for Sungai Buloh-bound trains and one for Kajang-bound trains. 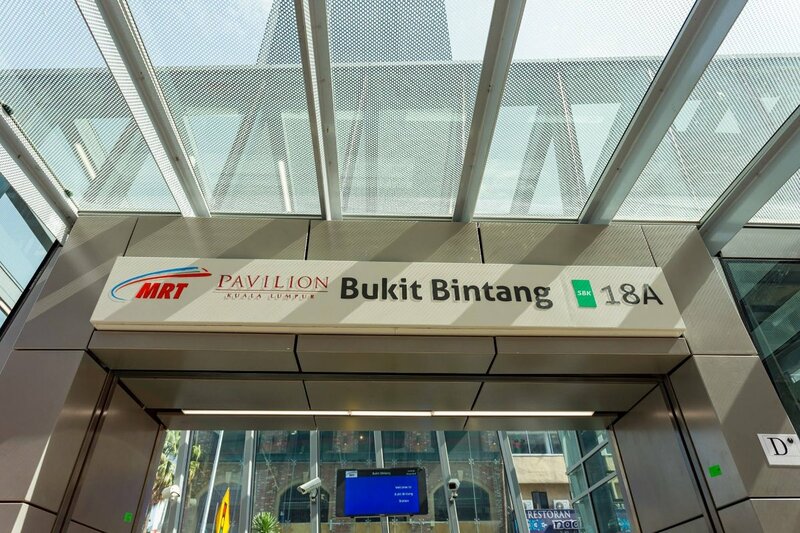 This Bukit Bintang MRT Station is adjacent to the AirAsia-Bukit Bintang Monorail station located right beside the station, however not by paid area-to-paid area transfer, due to the lack of space. 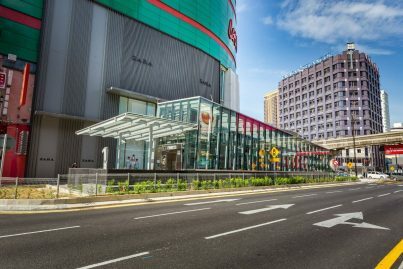 For the time being, those transferring from the MRT station to the monorail station will have to walk along the Yayasan Selangor building or Lot 10 shopping mall to get to the MRT station from the Monorail station, and vice versa, although the both stations are only a stone’s throw away from each other. 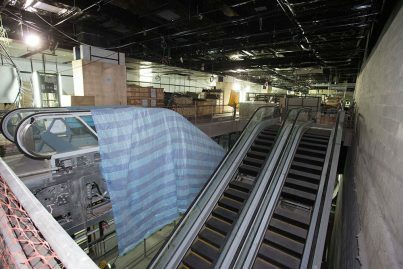 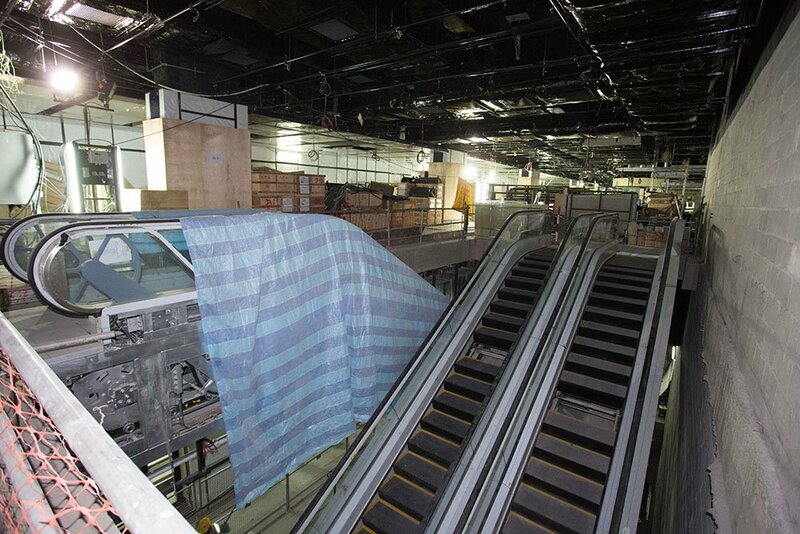 The walkway to the monorail station is uncovered. 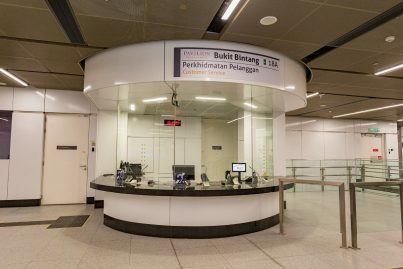 The layout for the station has its own unique features that are not found in other stations in the Klang Valley. 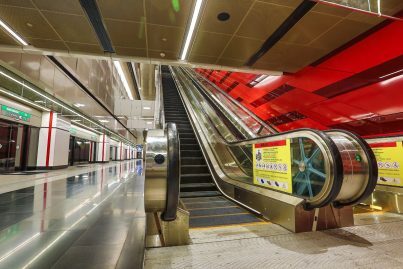 The station contains the longest escalator for all 31 stations along the SBK route at 20 meters. 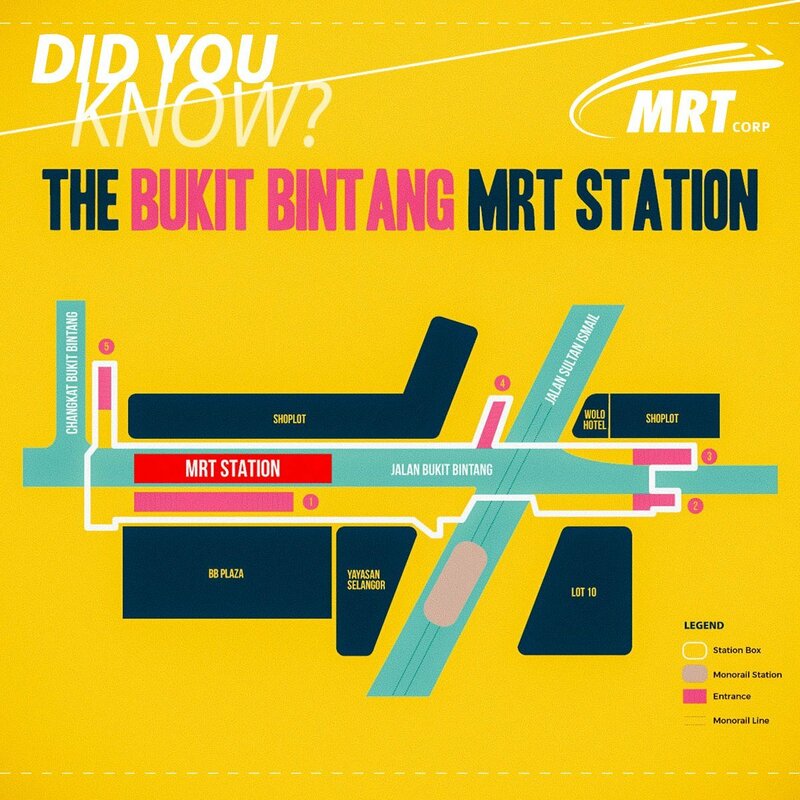 Bukit Bintang MRT station is also unique in a sense that it is the only station with split platforms, which means the platforms are stacked one on the other; one for Sungai Buloh-bound trains and one for Kajang-bound trains. 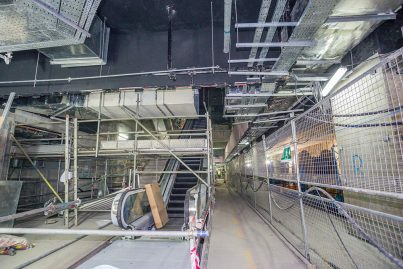 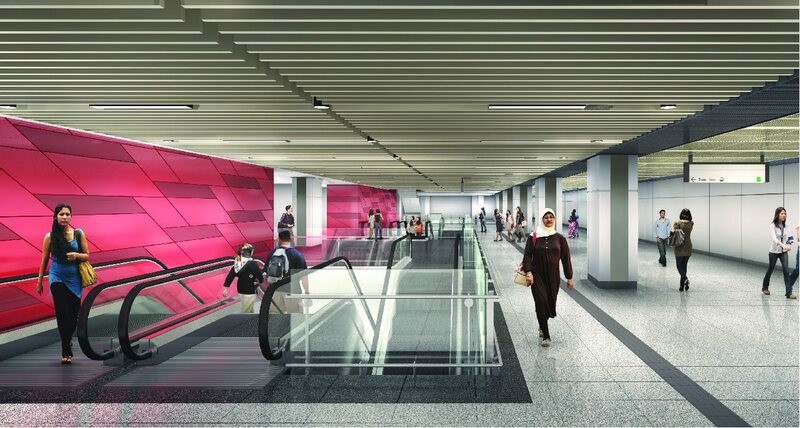 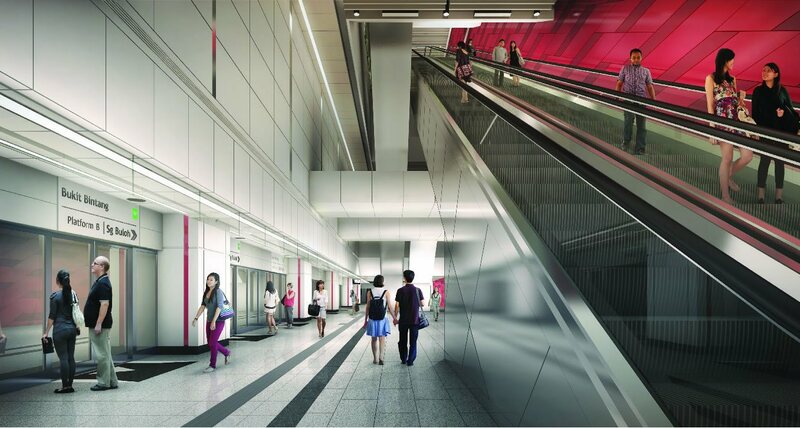 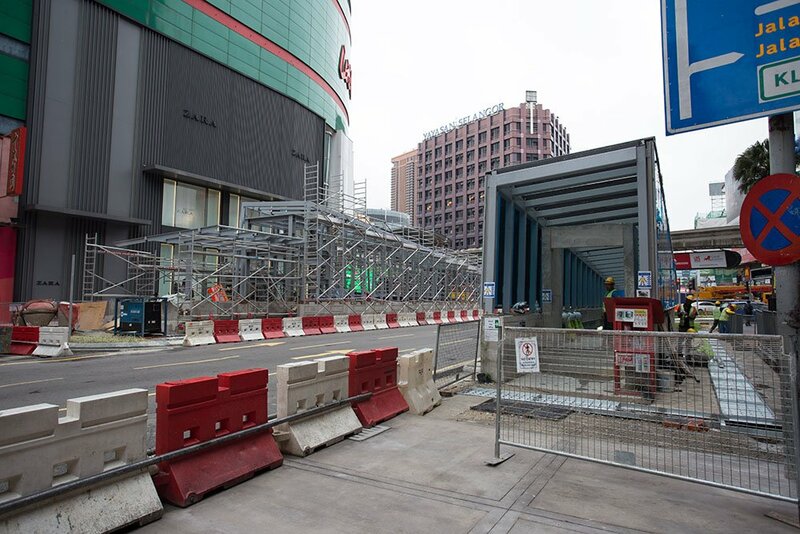 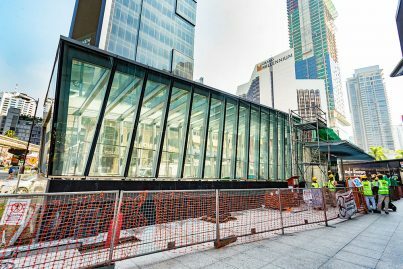 For the Bukit Bintang MRT Station, there will be 5 station entrances being built for the stations. 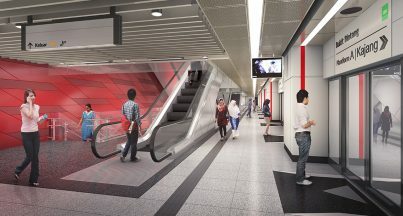 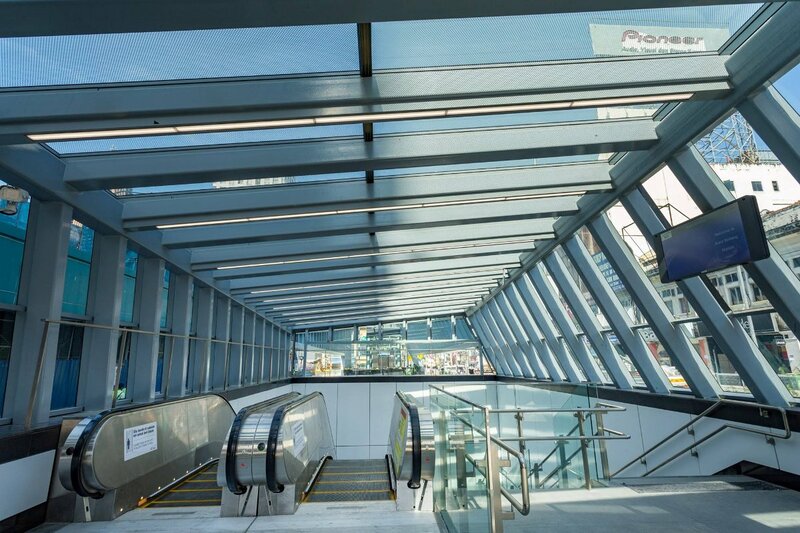 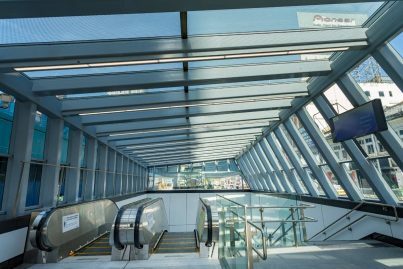 It will enhance the accessibility from nearby localities and connectivity for commuters from the Bukit Bintang monorail station. 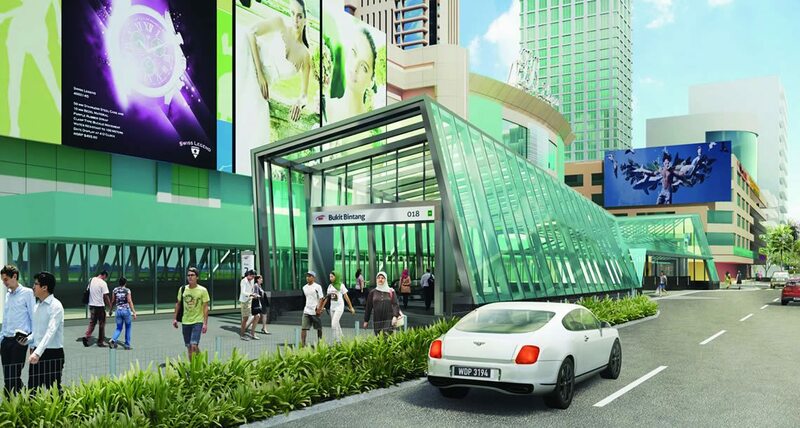 The main entrance to the station is located in front of Bukit Bintang Plaza. 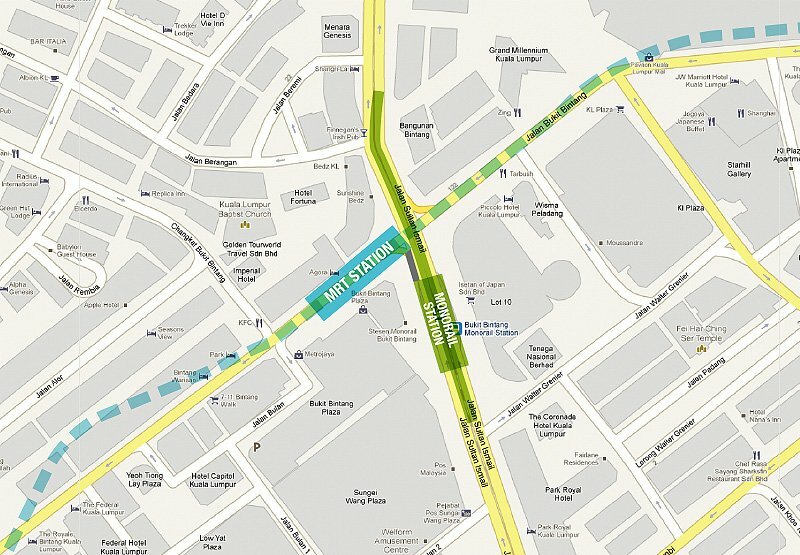 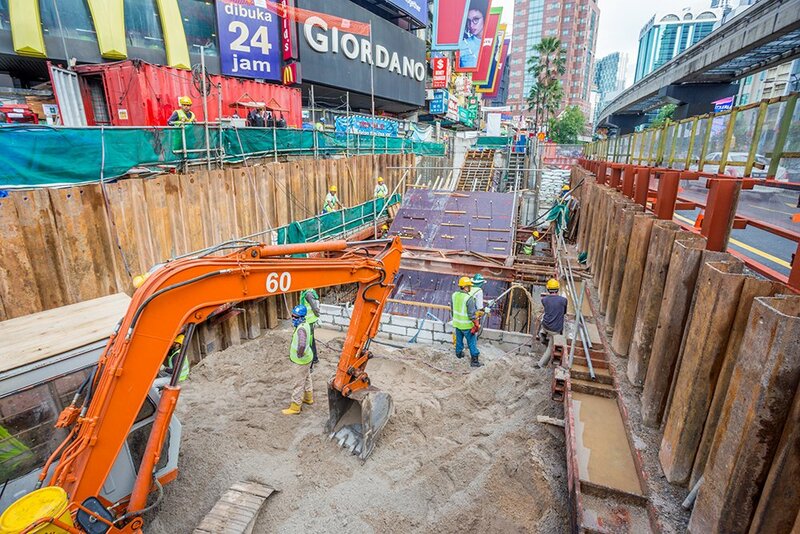 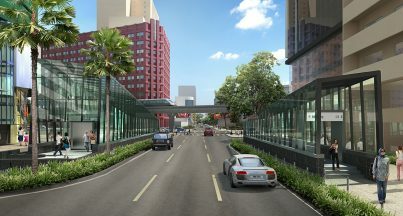 The entrance near Lot 10 and Wolo Hotel will be connected to the Bukit Bintang MRT Station via an underground link way underneath Jalan Sultan Ismail.